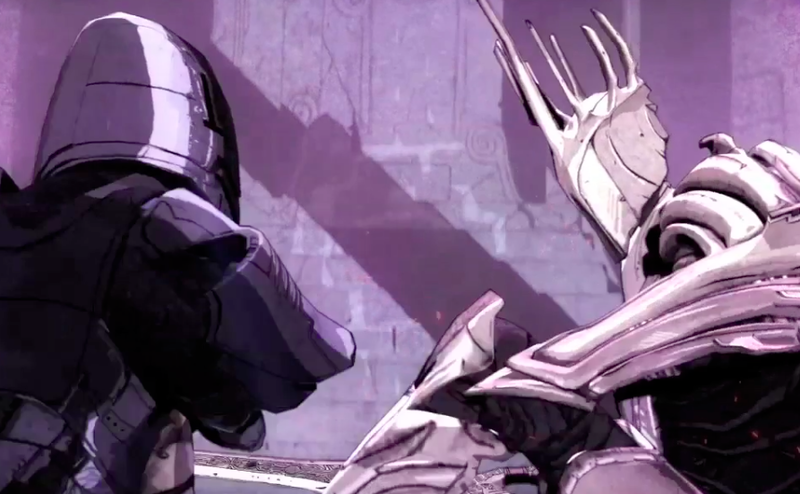 Watch the cinematic intro to Infinity Blade 3. Infinity Blade 3 is almost here, and to keep interest levels high, Chair Entertainment released a short film titled Infinity Blade: Origins, the game's opening cinematic. To make it happen, the studio partnered with animation director Ben Hibon, of Harry Potter fame, and Axis Animation. In addition, John Noble from The Lord of the Rings plays the Worker of Secrets. "We had the chance to work closely with ChAIR's team on every aspect of the film. They shared with us so much passion and creative energy - this was a true collaborative effort that felt ever so rewarding," said Ben Hibon. "Ben is a true animation visionary, pushing 2D and 3D animation in ways unlike anyone else. We are excited to see Ben's signature style and artistry applied to the Infinity Blade world that we love," said Donald Mustard, creative director, ChAIR. "The work that Ben and Axis have done for Infinity Blade III exceeds everything we'd envisioned. In a short film, they took the complex story of our universe and presented it in new way where every frame is a work of art." Infinity Blade 3 debuts September 18 for iPhone and iPad.